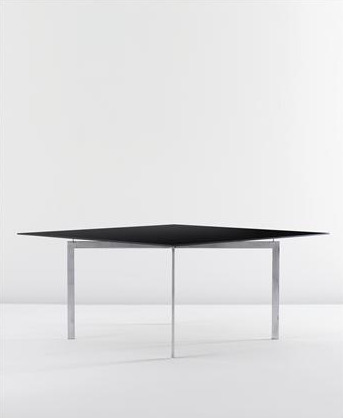 The record was set for a design work by Ludwig Mies van der Rohe when a severely reductionist steel and glass Tugendhat coffee table, the only known example of the MR 150/3 model, sold for $351,641 this week at the Phillips de Pury & Company Design sale in London. (The estimate was $72,850-$89,039.) The table, was designed for the architect’s Tugendhat Villa, Czechoslovakia, built during 1928-30. 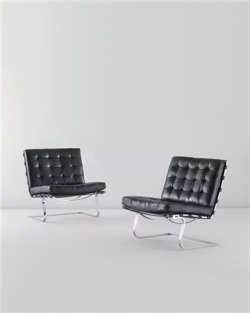 This pair of chairs and pair of light fixtures by Mies van der Rohe were also offered in the Phillips de Pury & Company Design sale. They too were designed for the architect’s Tugendhat Villa in Czechoslovakia in the late 1920s. The chairs, which carried an estimate of ~$96,000- 146,000 did not sell. 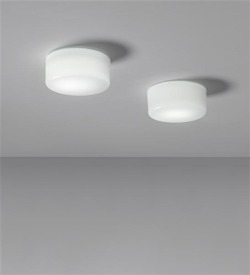 The lights sold for just over $10,000 - right in the middle of the ~$8,000 to $11,000 estimate.